The above info came from Daniel Doggett, and was edited by yours truly (contact me). 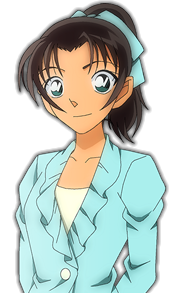 Kazuha is Heiji's childhood friend and love interest and is shown to be quite protective of him. 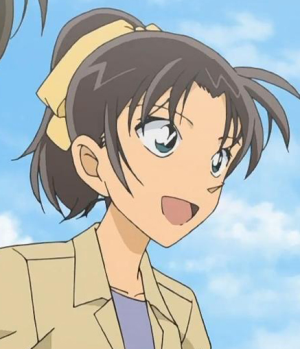 In her introduction episode, she interrogated Ran after hearing Heiji talk about Shinichi so frequently (calling him Kudo) and mistaking Ran's name for Kudo; thinking Heiji had a crush on another girl. Though after this confusion was cleared up, the two have grown to become good friends. 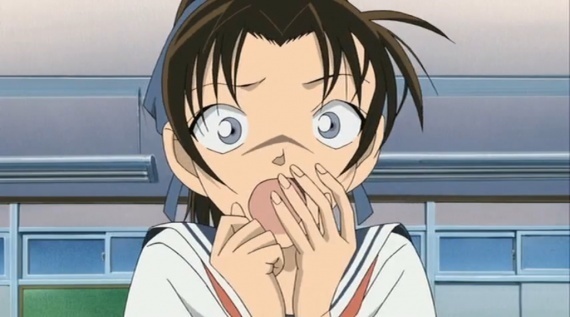 Like Heiji, she also lives in Osaka. She usually tags along with him when he visits Conan and Ran in Tokyo. The above description came from Daniel Doggett, and was edited by yours truly (contact me).